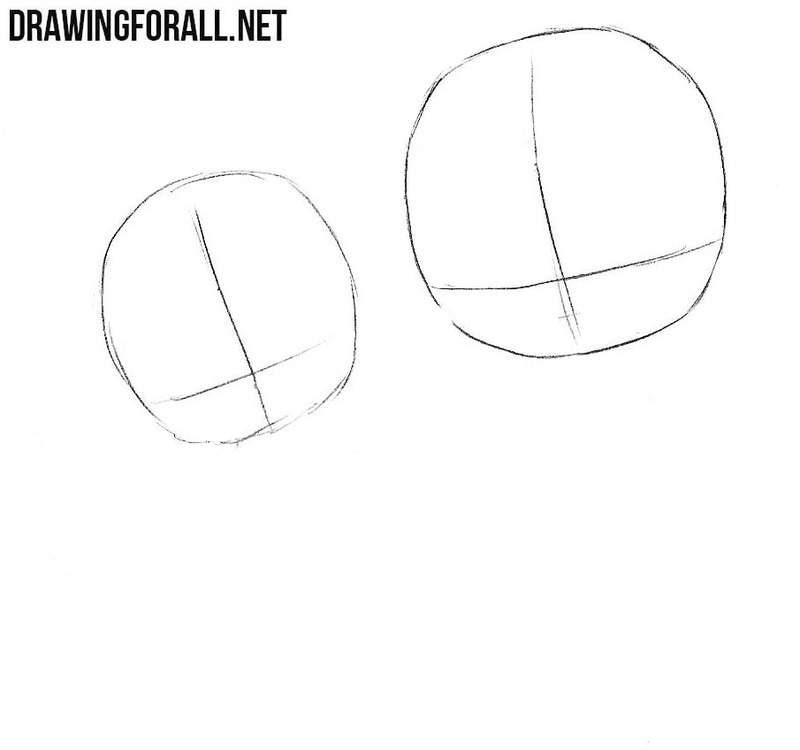 The first thing we do is draw two circle heads. One is slightly higher and bigger and the other a little lower and smaller. On the heads sketch out the intersecting lines as in the example below. Now we sketch out the torso and limbs with very simple geometric figures. Note that the figure on the right should be slightly larger than the one on the left. Use very light lines to later erase all these lines. 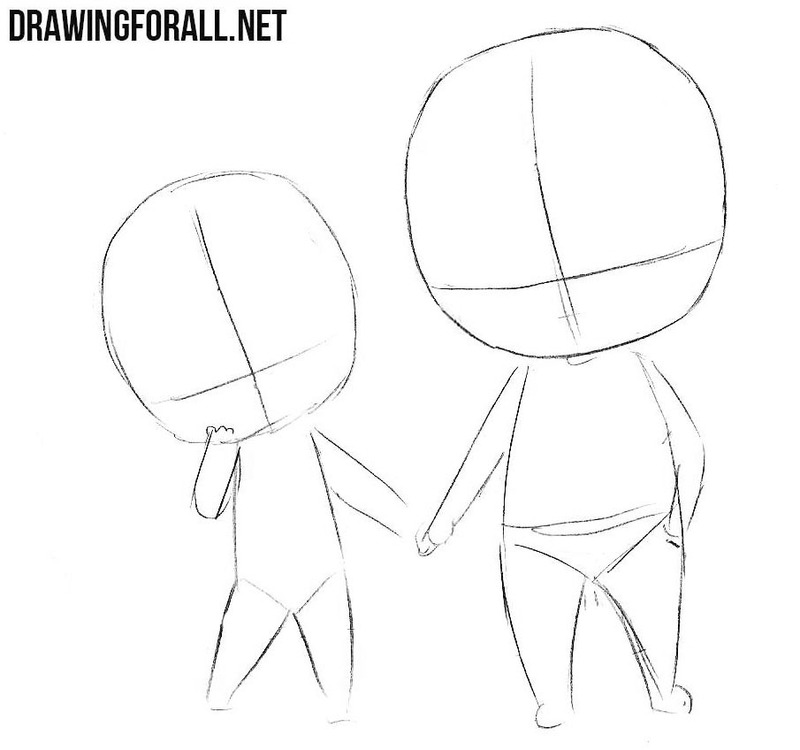 Now we will sketch out some basic details on the bodies of our characters. First of all, draw hair, then eyes and mouths. At the end of the step, we sketch out the clothes of the boy and the girl. 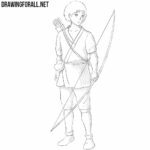 Let’s now start adding details to our drawing. 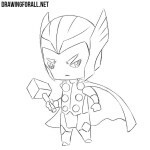 First of all carefully draw out the outlines of the eyes, eyebrows and mouths. All these lines must be dark and clear. 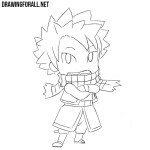 We continue to draw the details of the heads of chibi boy and girl. 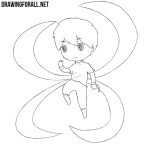 Using the same clear and dark lines, draw out the outline of the hair, as shown in our example, and delete all unnecessary lines. Let’s finish drawing the girl. Draw a dress, plump arms and legs with the help of dark lines. Now we finish drawing the boy. Draw a T-shirt, shorts, plump arms and legs. As in the previous lesson, we use clear and dark lines. 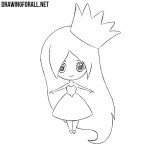 So, it was a lesson about how to draw a chibi love. 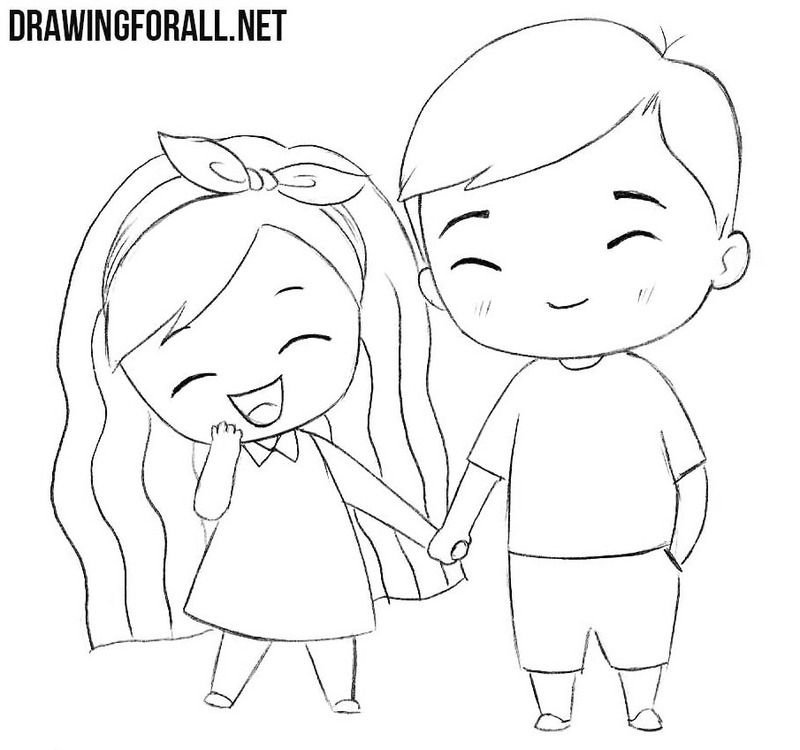 We decided to draw a boy and a girl who really love each other. 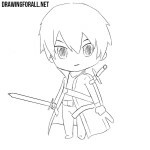 Do not forget that on our site there is a huge number of different chibi characters, so go to the category “Anime” and learn how to draw them.